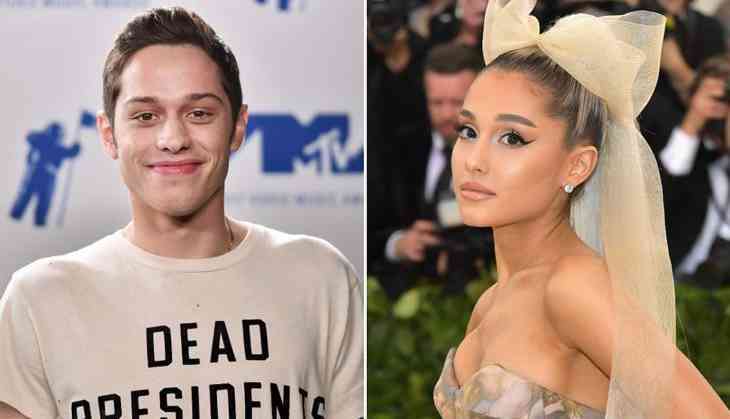 Ariana Grande, an American singer is dating Pete Davidson of Saturday Night Live, E! News reports. The relationship has just started, "It just started and is casual." The couple has not addressed their relationship publicly. Both of them just got out of long-term relationships. Less than two weeks ago, it was reported that Grande broke up with rapper Mac Miller after two years of dating. It was reported that their "relationship had been over long before" they appeared at Coachella together in April, a source told E!. Last week, Davidson also confirmed his breakup from Cazzie David, Larry David's daughter, after two years together. He has also deleted pictures her pictures from his Instagram. "Ariana was holding Mac together for a long time and it wasn't a good relationship for her," the insider told E!. "She is in a very good place and very happy now." After, Ariana broke with Miller, she wrote a sweet message on Instagram. She wrote: "This is one of my best friends in the whole world and favorite people on the planet Malcolm McCormick. respect and adore him endlessly and am grateful to have him in my life in any form, at all times regardless of how our relationship changes or what the universe holds for each of us!" Ariana previously appeared on Saturday Night Live in 2016.